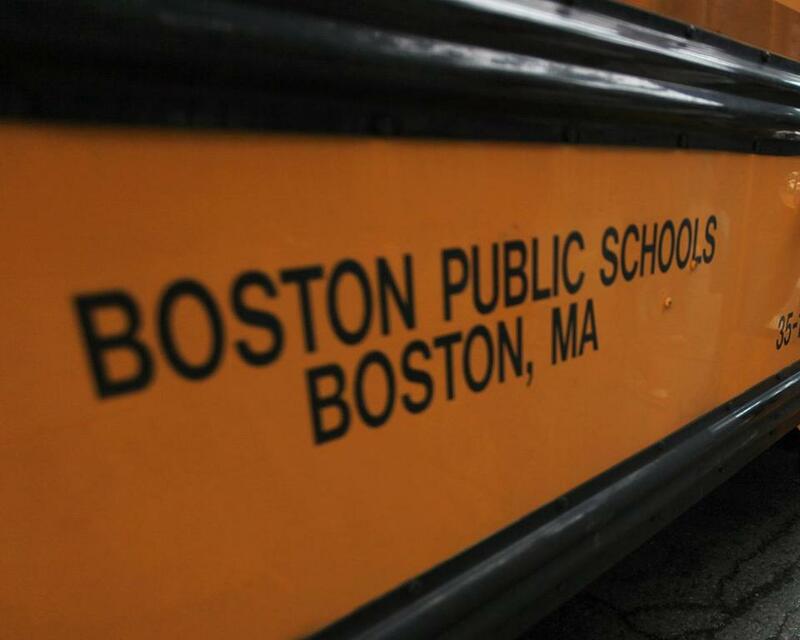 The side of a school bus for the Boston Public Schools system. An independent audit of Boston Public Schools set for release Friday says the district could save millions each year by closing undersubscribed schools and firing some of their teachers. Mayor Martin J. Walsh, who commissioned the audit last year, and School Department officials stressed that it only offers options and does not set policy. But it is likely to be controversial at a time when some parents have criticized the mayor’s education policies. The review, by the management consulting firm McKinsey & Co., found that more than half of the district’s schools use less than 68 percent of their physical capacity, leading to underfilled classrooms and an average of 11.6 students per teacher. Other similarly sized school districts have higher student-to-teacher ratios, the report says. Closing or merging underpopulated schools would save $1.7 million to $2.2 million a year per school — but to realize those savings, the district would have to fire some of the closed schools’ teachers. Others would be redistributed, along with students, to other schools. Without firing teachers, the district would save about $700,000 per closed school, according to the audit. Closing struggling schools would also provide an opportunity to shift students to better schools, and the money saved could be applied to educating students and providing additional support services, McKinsey suggested. Shuttered school buildings could be sold at an average of $4 million each. Some parents have criticized Walsh for his willingness to shut down schools since the closing of two Hyde Park schools this year. Parents who met with Walsh on Sept. 29 say he told them he wanted to reduce the number of school buildings from about 125 to 90 — a claim he has denied. He said extra seats should be seen not just as excess capacity to be shed, but as an opportunity to bring more students into the school district, which has shrunk almost by half to about 57,000 since the early 1970s. The two most significant ways the audit can be used, Walsh said, is in guiding the School Department’s long-term financial planning and the city’s 10-year school facilities master plan, set to be complete late next year. The facilities plan, he said, will help anticipate future needs as the city’s population grows. “The last thing we want to do is close a bunch of buildings and then have to realize that, ‘Oh, man, kids are coming back to our system. Now we’ve got to open up a bunch of buildings,’ ” he said. Walsh said he has not discussed closing or consolidating schools, nor has he considered leasing school buildings to charter schools — a possibility some parents say is his goal. “We only have two [empty school buildings] right now, and I’m not sure what we’re going to do with those,” he said. The audit report, which cost $660,000, also explores options for improving or bringing savings to special education. It says speeding up the integration of students with disabilities into general classrooms would benefit more special education students sooner, although it notes that it is unclear whether that would save money or bring extra expenses. Superintendent Tommy Chang said he supports accelerating plans for inclusive classrooms, but he would not take a one-size-fits-all approach. “It should look very differently for every single school,” he said. Chang said he had not made up his mind on the audit’s estimate that the School Department could save $15 million to $20 million a year by replacing special-education paraprofessionals employed by the district with contract workers or outside providers. The audit also recommends reviewing classifications for students with disabilities, noting that about 20 percent of the district’s students currently have that classification, well above the national average of 13.1 percent, as well as the state average of 17.8 percent.